Genius. 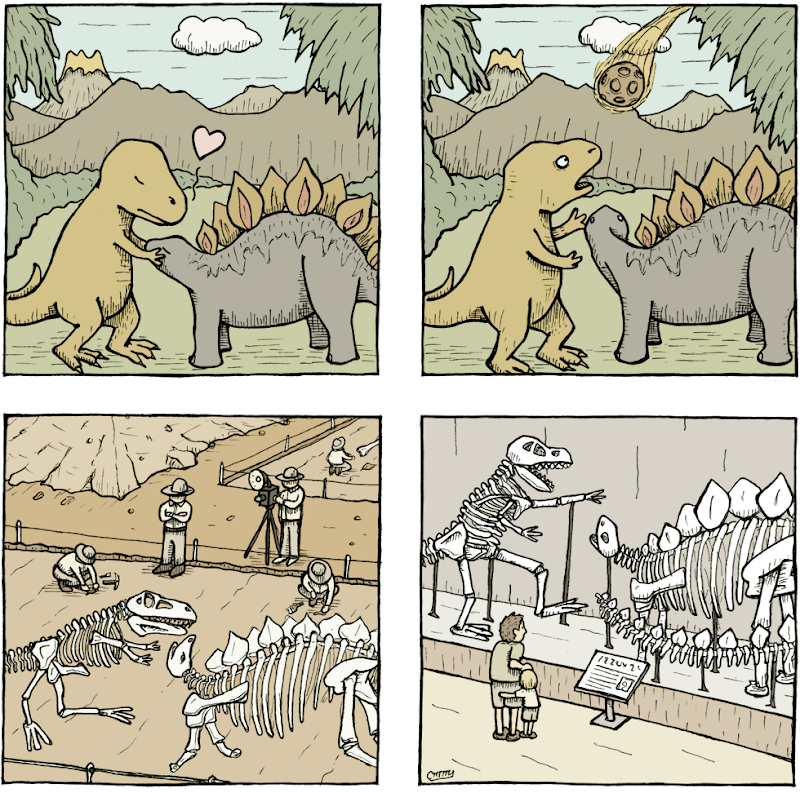 Makes me think of gay marriage killed the dinosaurs. Keep up the good work! If the meteor comes from the stegosaur's right side, why does it fall on its right and not its left side?